Erik Nording is a name that is well-known throughout the tobacco world as one of the premier pipe makers. For the last forty years, Nording has produced over 50,000 pipes a year at his factory, of which 90% have been exported to other countries. 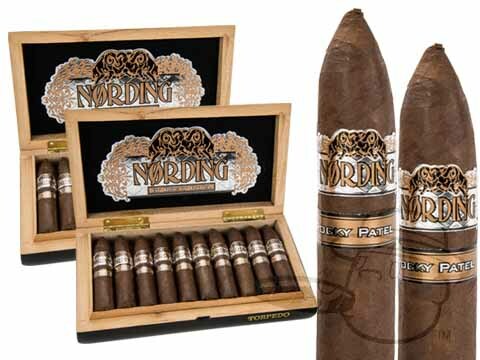 Rocky Patel named their new blend of cigars after this legendary pipe maker, and the cigar certainly does the Erik Nording name justice. 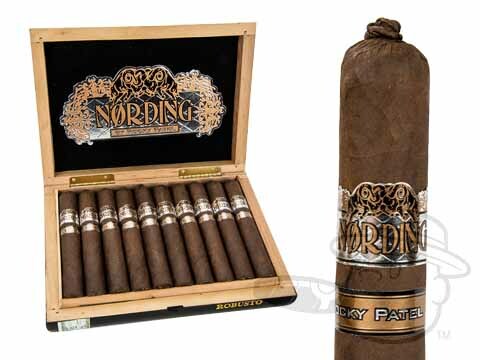 Made at the Rocky Patel Factory in Honduras, Nording cigars received an astounding 9.8 rating in Smoke Magazine, and after a steady start, these cigars have really begun to take off. This medium bodied cigar features a delicious, lush, oily Costa Rican Maduro wrapper, as well as a Mexican binder, and a filler blend of Honduran and Nicaraguan tobaccos. This cigar has an easy draw, but is for the smoker who enjoys a more powerful smoke. With hints of coffee, as well as nutty, toasty and caramel flavors, this cigar is a joy for any smoker’s palate.